I remember when I did not know what "streaming" was. It wasn't that long ago. Maybe 2 years. For the uninitiated, streaming gives anyone with a computer/tablet/smartphone the ability to watch movies, TV shows, sports events and more without actually downloading content. It's the way most Millenials watch stuff. Recently I joined that happy throng. It was "Mad Men" that drove me over the edge. I watched just one episode on Netflix and I caved. I have been binge watching the series ever since. Honestly, I don't pretend to understand the business model that makes it possible for me to watch the first 6 seasons of "Mad Men" for only $7.99 a month. "Mad Men" takes place in the sixties and follows the work and private lives of the key employees in a Madison Avenue ad agency. Of course it's about much more than that. The production values of the series are off the scale. It's way beyond clothing, cars and home decor. It covers the foods eaten at home - brown betty anyone? And everything else down to the minutest detail. It does a fantastic job of showing what life was like before there were even answering machines and caller ID. Much of the actions of the characters are only possible because of the lack of technology. People can really disappear for an afternoon and have an affair. They are unreachable. They cannot be Instagrammed. Everything is much more private. In those days work was so much more labor intensive. I remember working as a research intern in the seventies. I would spend entire days going to the public library with a bag of quarters so that I could photocopy pages from a book that I had personally retrieved from a stack. Even in 1991 an office photocopying machine cost as much as a small car. Today I can buy one for $75. Streaming - it's helping me remember. 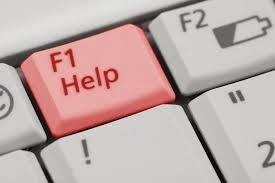 I started this blog in 2008 for an audience of psychotherapists and employee assistance professionals. Now though my readers are from many other professions, I write this for my original peeps. I came across an article that did an amazing job of neatly summarizing the challenges of being a clinician in a wired world. 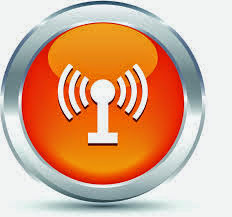 Clients are increasingly involved with social networks. They will Google their therapists and their therapists will be tempted to do the same. And that's just for starters. Written from a psychologist's point of view, I encourage everyone to read "Best Practices for an Online World." Most people don't think twice about disclosing their personal information online. The contrast between psychotherapy and social networking sites could not be starker. Most psychotherapeutic interactions are private and confidentially protected, while most interactions on social media are broadcast to the public or to a network of friends. But when therapists interact in both spheres, they do risk violating clients' confidentiality or crossing boundaries. There is evidence that younger professionals may already be navigating these ethical waters with limited guidance. A study found that 60% of medical schools sampled reported instances of medical students posting unprofessional online content, which included disclosure of patient confidentiality, profanity, discriminatory language, depiction of intoxication and sexually suggestive material. Another study found that 98% of doctoral psychology students had searched for at least one client's information over the past year. Social networking sites may be ushering in a "small world" online environment that is analogous to "small world" rural settings where psychotherapists have encountered more transparency than their urban counterparts for years. Small world ethical thinking refers to a therapist's heightened awareness that his or her environment will likely produce ethical dilemmas surrounding boundary violations related to online realities such as greater transparency, increased self-disclosure and unavoidable multiple relationships. Overall, it is important for clinicians to recognize that their "private" online activity may intersect with their professional competence. Indeed, online self-disclosures may represent the intersection where dilemmas surrounding personal and professional roles meet - in some cases signaling the start of boundary violations. Self-disclosure online is almost inevitable. Often it is initiated by clients who want to learn more about their therapists. Some clients may do more than a Google search: They may join social networking sites, join professional listservs/chat rooms, or pay for online background checks or online firms to conduct illegal, invasive searches. Practitioners need to create and maintain a formal social networking site policy as part of the informed consent process. Informed consent processes should at the very least acknowledge the risks and benefits of using social media and other technology. In addition, such policies should lay out psychologists' expectations for using such sites, namely that practitioners do not "friend" or interact with clients on social networking sites. Therapists should develop online technological competence - they must understand the nature and requisite technology of social networking sites. They should proactively set controls that limit who sees their personal information. Clinicians should contact both their professional and personal liability insurance representatives to find out whether their professional and personal liability insurance covers social networking sites. Psychotherapists should avoid using certain types of speech online, even if they use high privacy restrictions and other protections, such as pseudonyms. These communications might include breaches of client or supervisee confidentiality, speech that is potentially libelous and speech that denigrates the reputation of the field in which they practice. Fun fact: my father appears in one of the most famous movies ever made: the cult Bogart/Bergman classic Casablanca. At the age of 22, he played one of the French Foreign Legionnaires who stands up and sings the Marseillaise in Rick's Cafe. It is easy to spot him at many points during this epic scene. He is the tall soldier in uniform 50 seconds into the video, and again at 1.28, in the background to the right of Paul Henreid. I can also hear his voice among the others because he eventually became a renowned famous opera singer, and his is the loudest voice in the group. This clip has been viewed by over 1 million people. I have been able to share it with my children. I can watch it any time. It's very cool and very emotional. Along with the thrill of the new, the Internet has made possible a heightened connection to the past, and much that is retro, vintage or even obsolete. If you grew up in the 70s, you know about motel Magic Fingers. 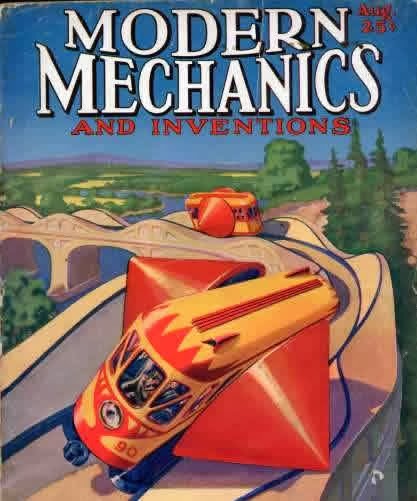 Yearning to find beautiful magazine cover art? There's a website for that. What if you have an unhealthy addiction to old watches? I now know that the Bulova Accutron I was obsessed with in my teens has been released again, (albeit minus the original toxic mercury battery,) at a cost of $5,000. You can even get 40 year old Koss headphones. There a lot cheaper than those Beats by Dre. Those who forget the past are doomed to repeat it. Web Secret #309: "Tech Proof"
A few months ago I returned to Vegas. I was last there 40 years ago. from a Magic Fingers Vibrating Bed, to a flat screen TV. 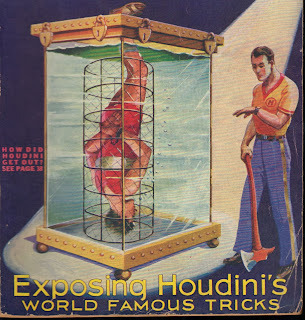 the magician escaped from a water flooded tank - just like Houdini did, over 100 years ago. In it's very essence, the Vegas experience hadn't changed at all. The Internet, computers and cell phones hadn't touched it. It was "tech proof." We spend a lot of time focusing on what is rapidly changing in our world. The change has been remarkable. But equally remarkable is what remains "tech proof." What will be "tech proof" ten years from now? 50 years from now? 100 years from now?